Mammals possess the remarkable ability to regenerate a lost fingertip, including the nail, nerves and even bone. 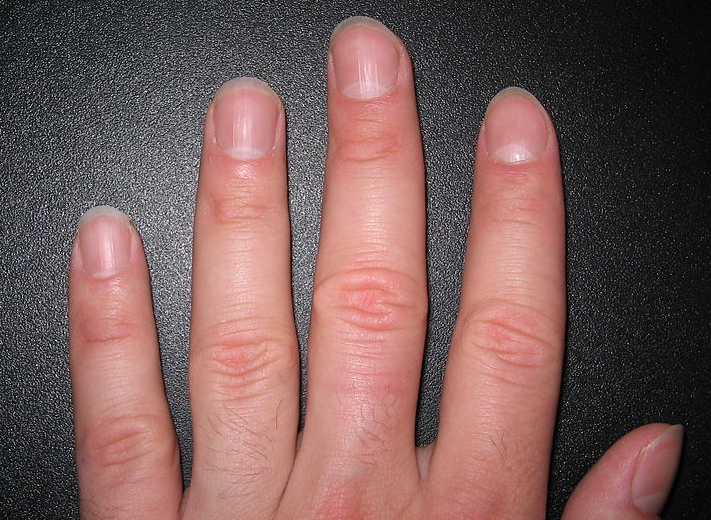 In humans, an amputated fingertip can sprout back in as little as two months, a phenomenon that has remained poorly understood until now. In a recently published paper in the Nature journal, researchers at NYU Langone Medical Center shed light on this rare regenerative power in mammals, using genetically engineered mice to document for the first time the biochemical chain of events that unfolds in the wake of a fingertip amputation. The findings hold promise for amputees who may one day be able to benefit from therapies that help the body regenerate lost limbs. "Everyone knows that fingernails keep growing, but no one really knows why," says lead author Mayumi Ito, PhD, assistant professor of dermatology in the Ronald O. Perelman Department of Dermatology at NYU School of Medicine. 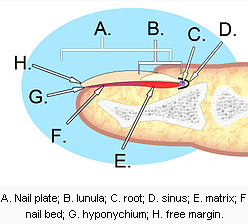 Nor is much understood about the link between nail growth and the regenerative ability of the bone and tissue beneath the nail. Now, Dr. Ito and team have discovered an important clue in this process: a population of self-renewing stem cells in the nail matrix, a part of the nail bed rich in nerve endings and blood vessels that stimulate nail growth. Moreover, the scientists have found that these stem cells depend upon a family of proteins known as the "Wnt signaling network" -- the same proteins that play a crucial role in hair and tissue regeneration -- to regenerate bone in the fingertip. "When we blocked the Wnt-signaling pathway in mice with amputated fingertips, the nail and bone did not grow back as they normally would," says Dr. Ito. Even more intriguing, the researchers found that they could manipulate the Wnt pathway to stimulate regeneration in bone and tissue just beyond the fingertip. "Amputations of this magnitude ordinarily do not grow back," says Dr. Ito. These findings suggest that Wnt signalling is essential for fingertip regeneration, and point the way to therapies that could help people regenerate lost limbs. An estimated 1.7 million people in the U.S. live with amputations. The team's next step is to zoom in on the molecular mechanisms that control how the Wnt signalling pathway interacts with the nail stem cells to influence bone and nail growth. That's very interesting. 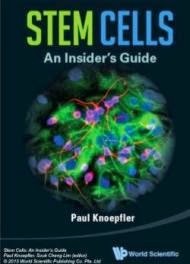 The power of stem cells is literally at our fingertips...!